Ashburton Grove - Arsenal news and Arsenal opinion: Gervinho talks - Chamberlain negotiations begin - Distin/O'Shea linked - Clichy/Nasri off? 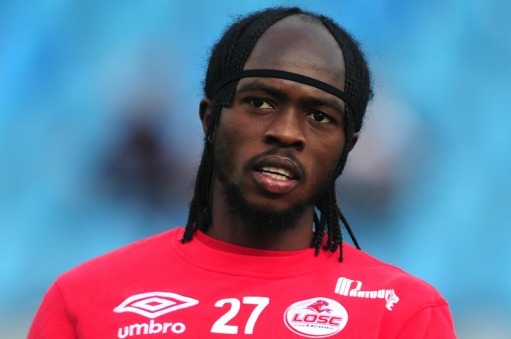 Gervinho talks - Chamberlain negotiations begin - Distin/O'Shea linked - Clichy/Nasri off? Well here we are. The mythical date which is July 1st and all are problems are now going to be solved with the signing of several key players... oh, wait a minute. Just the one player? And he's not signing today because he's still on holiday? Sack the board! Wenger out! In all seriousness, this is the period where we will start making moves in the transfer market and one player who is nearly putting pen to paper on an Arsenal contract is Gervinho. As I told my twitter followers on Wednesday, there was no medical for the Ivorian taking place - he is still on holiday. "I chose Arsenal because it's a young group within which I will be able to integrate easily. I could develop more over there. There's only a few details left to sort out. "A risk? Not at all. I'm going to Arsenal to play. The best risk to take is to look to score goals and to play a lot. "In football you have to take risks if you want to win. I'm going to Arsenal to win. "I had no hesitation. None. But in a transfer there's always a period of analysis and negotiations. "All sides had to be satisfied so that things could develop smoothly. "I'm going there to play, not to be on the bench. Arsenal love the game. And I love teams that love the game. "The Premier League is a notch above. It's maybe the best league in the world. I want to live that sensation." It all sounds rather positive. He want to play for us. Has had offers from elsewhere, but believes that Arsenal is the right place for him now. It's just a shame we're still trying to agree a fee with Lille. But then I'd imagine we're trying to get "value" for a player who only has one season left on his contract. I've not seen him in action, so can't offer any insight into how he plays the game and what we can expect from him. However, from the statistics provided by OPTA, he's produced 15 assists and 10 goals for the French champions last season. If you interested in his background stats, read this Arse2Mouse post on the very subject. With one nearly through the door at Highbury House, the manager's attention is set to turn to Alex Chamberlain who The Sun report we've opened talks with his club Southampton. As the Independent reported yesterday, Gael Clichy is on his way out of the club after Arsene Wenger agreed to sell him to Manchester City for £7m, which could rise to £10m if certain targets are met. A deal is unlikely to be concluded today as the player is still out of the country. The defender has been offered a four year deal worth £90k a week according to today's Independent. Personally I'm sad to see him go. I would have liked him to have stayed because he is still a very fine left back. I know he hasn't developed as much as Arsene Wenger would have liked in the last three seasons but at the club he is still first choice. He's played near enough every Premier League game in the past few seasons and is still to be really challenged for his spot by Kieran Gibbs. I don't think the Englishman's ready. He didn't have a brilliant season, mainly down to always being injured. And I'm not sure that Arsene Wenger, despite being linked with Leighton Baines, Jose Enrique and Emilio Izaguirre, will reinvest in a new left back. I hope he does because I think we need it. So with Clichy seemingly off to City, it appears the Manchester club are also after another of our players as well. This time it's Samir Nasri. Sky Sport News did this big thing yesterday of reporting that City had "significant interest" in the Frenchman and were set to offer Arsenal £20m for the player, who they'd offer to pay £180k a week. At the time I said if City were offering us that sort of money for a player who has entered the final year of his contract we should bite their hand off. That is exceptional money for a player who has performed for one sixth of the time he's been with us. Granted he had a very good first half to last season and the goal against Porto the previous season in the Champions League was superb, but really we've not seen the Frenchman show the consistency this team needs to win trophies. Arsenal's win % with Samir Nasri starting in the Prem Lge over the last 3 seasons is 50% & 64% without him. 2010-11 with 46% &; w/o 60%. Staggering that we won more games without him in the team than we did when he was in it. Now if we are paid £20m for him, I'm certain we can go out an buy a player who will do exactly the same task as Nasri but be more efficient. A few transfer rumours to get through. The Daily Mirror link us with a move for John O'Shea. I'm in two minds about this. Firstly he'd be a good utility player and is a proven winner at Manchester United, who will give his all for the team. But then I think back to our most recent signing from that club - Mikaël Silvestre - and that wasn't exactly a roaring success. Anyway, lets see what happens there. The Daily Express say we're looking at Sylvain Distin who has one year remaining on his Everton contract. The deal to sign Gary Cahill is being held up according to The Sun because Bolton don't want to take Nicklas Bendtner as part of the transfer for the central defender. Tomas Rosicky has a part to play next season after being given assurances he's wanted at the club, according to Sky Sports. And finally for today some extra reading in the form of a brilliant piece by Yankee Gooner on Arsene Wenger’s Lost Team.